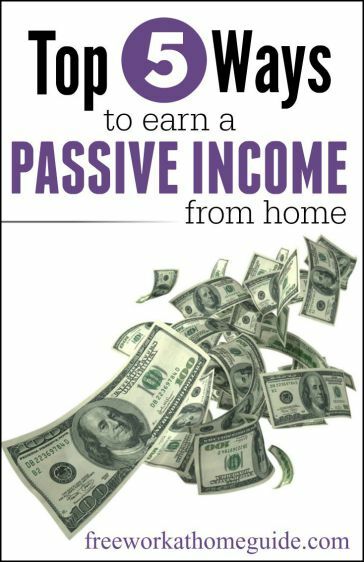 Many people just love the idea of earning a passive income because they know that passive income can earn them money when they are sleeping, resting, working, or doing anything else other than working on what is earning them a passive income. 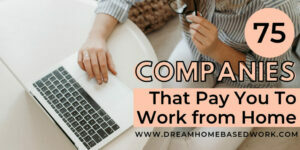 If you want to earn passive income online from home, you will need to find out what opportunities exist that match your skills. You must be prepared to work hard in the beginning to lay the foundation for any passive income opportunity you want to capitalize on in order to reap the benefits later. Some passive income models require more work than others. You need to choose the right one for you and put in the time and effort required to monetize it. 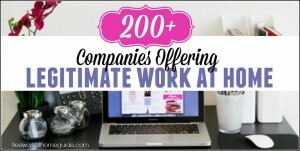 You may just be able to earn enough or earn some extra cash. If you already have a blog with a good amount of traffic, you can earn passive income from it by using a number of methods. If you do not have a blog yet but want to create one, then start one and contribute high quality content to it on a regular basis to gain some steady traffic. Sign up for Google AdSense, Media.net, and/or similar networks that will place ads on your blog. When a user clicks on an ad displayed on the blog you will make a certain amount of money. Also, join an advertising network that will place CPM ads on your blog. Some popular CPM networks are Tribal Fusion, The Blogger Network, and Infolinks. CPM ads will earn you money if they show up on your blog while your blog visitors access your blog. You get paid a certain amount per thousand impressions. You can also earn a passive income from your blog by running affiliate programs where you promote products and services of other companies or people. They will give you an affiliate link that can be placed on your blog which links back to their websites. You will get paid when your site visitors just click on those affiliate links to visit your affiliate partners’ sites or click through the affiliate links to land on the merchants’ sites and sign up for or buy anything. 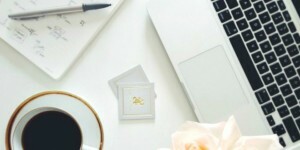 There are more ways to earn passive income from a blog but these are the most popular ways. If you have a knack for writing, you can write an eBook about your favorite topic and earn money by selling it online via your own blog or website, or via any third-party website like Amazon. To make more sales, you can offer an affiliate program to websites in your niche so that they can promote your book on their sites via an affiliate link to your site or any other marketplace that you provide with them. When any sale is made, you will pay the relevant affiliate marketer a cut of the sale. You will earn passive income from an eBook every time someone buys it. You can also pay someone to write an eBook on your chosen topic and then you can sell it using one of the above methods and more. Your income per sale depends on the pricing of the eBook and commission rate of the publisher (that is when you are not selling from your own site or blog). Selling eBooks is a profitable online business model. Selling microstock images is a great way to earn passive income. If you have a good camera, and love taking photos of different but right subjects, then you can turn your photography hobby into cash. You will need to submit a large body of quality photos to one or more popular microstock photography sites or agencies online, such as Shutterstock, iStockphoto, Dreamstime and Fotolia among others to increase your chance of selling more photos. Submit photographs to more than one microstock site. These microstock photography sites allow you to sell the same image multiple times to the same or different buyers, which means you can earn passive income from the same image. When a user downloads one of your images you earn typically 50% of each download or sale. Since these sites offer subscription based services, they are popular among the clients because they do not have to pay a lot per download of an image. If you have a lot of quality images, your sales can add up quickly. If you are good at writing and knowledgeable about a particular topic or more, then you can write articles for some reputable revenue sharing content sites. You need to produce good articles that people want to read. If you can write quality articles frequently on popular topics then sign up for several reputable revenue sharing content sites like HubPages, InfoBarrel, Demand Media Studios, and more. Write quality articles and submit them to these sites. You will earn a certain percentage of advertising revenue generated by the articles you post on these sites from ads that are displayed alongside the articles. The ads make money when they are clicked on or are shown on the articles while your readers interact with the articles in some way. You can write articles in a particular niche or more in batches and sell them as a package to one or more clients. Typically, PLR articles are sold for a low one-off fee. Many businesses or individuals purchase PLR (Privacy Label Rights) articles to rewrite them to fit into their own style or use the articles anyway they want. You can write articles about popular topics and sell them in packs of 5-10. You can write 5 articles about a particular topic or write each of the 5 articles on different topics and sell each article for $1 in packs of 5 for example. You will need to choose the right platform if you want to sell your PLR articles fast. The best places to sell them on are reputable digital marketplaces like Amazon and CreateASpace or your blog or website if it attracts a significant amount of traffic. You will need to choose the right passive income model based on your skills and interest that can generate a continuous stream of income deposited into your financial account. If you want to earn additional income monthly or even a full-time income, try one of or all the above top 5 ways to earn passive income online. If one works for you, stick with that and then try another one and more to find out what works best for you. Do not just rely on one income model if you are able to diversify your income.